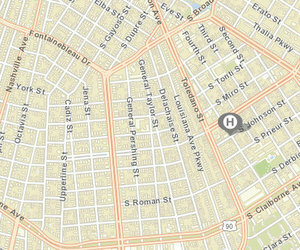 A man was shot to death early Friday morning on South Johnson Street, New Orleans police said. The shooting was reported around 1 a.m. Friday, Feb. 2, in the 2800 block of South Johnson Street (near Toledano Street), according to NOPD reports. Responding officers found an unresponsive man lying on the sidewalk with multiple gunshot wounds, and he was taken to the hospital for treatment, but died from his injuries, the report states. Further details were not immediately available. Anyone with information is urged to call the NOPD Homicide Division at 504-658-5300 to speak to a detective, or CrimeStoppers at 822-1111 to leave an anonymous tip that could be eligible for a cash reward.